OnTESOL gives you the flexibility of completing an accredited TESOL course online and a separate teaching practice module in Vancouver. 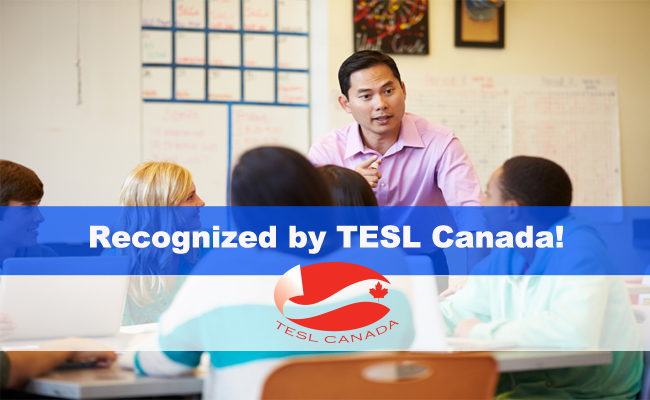 After completing one of our TESL Canada-approved courses, you will have the credentials required for teaching English in Vancouver at international language schools. You can also use your TESOL certificate to teach English abroad. You can start one of the online TESOL courses any time. We have the 120-hour Advanced TESOL Certificate program and the 250-hour TESOL Diploma. The Practicum is a separate module and it is optional, so you can take it any time when you are ready to qualify for TESL Canada accreditation. OnTESOL can recommend a school in Vancouver where our graduates complete the Practicum or you can also take it at a school of your choice. The second option is perfect for those who are already teaching English in Vancouver because it is possible for graduates to take the Practicum for free at the school they work! Get Certified to Teach English in Vancouver or Go Abroad! Self-Paced TESOL Courses with Professional Tutor Support! Taking an advanced TESOL course in 4 weeks is very challenging. You have to attend classes for 6 hours a day and have lesson plans ready for the next day. You would not be able to work or study another program for a whole month! Our format allows people to learn better by taking the time they need to grasp the material and contact the tutor for personalized support. Our combined TESOL certification courses are perfect for people who are busy with school or work. Our graduates study the same material and get to do the same assignments as in an advanced in-class TESOL course, except that they get to do it from their cozy homes! OnTESOL has a great reputation in Vancouver because we have trained thousands of teachers since 2003. We know the best schools to work for in Vancouver, so we will give you free guidance to help you find the best job. For those interested in teaching abroad, OnTESOL offers a free job placement package that includes recruiting, job hunting assistance, and resume writing help. It’s the most comprehensive job assistance package you can get in Vancouver and it is completely free of charge!